Some brands are synonymous with their categories – Hoover (vacuum cleaner), Bic (biros), Disaronno (amaretto). 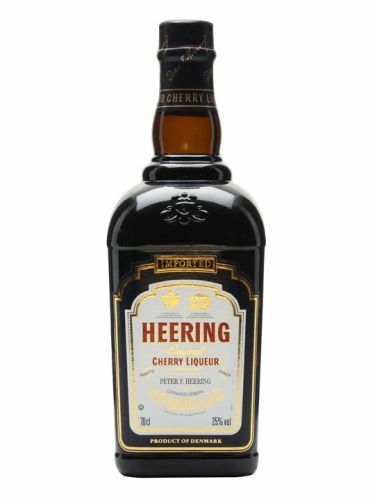 And in the world of cherry brandy, the daddy of them all is Cherry Heering. 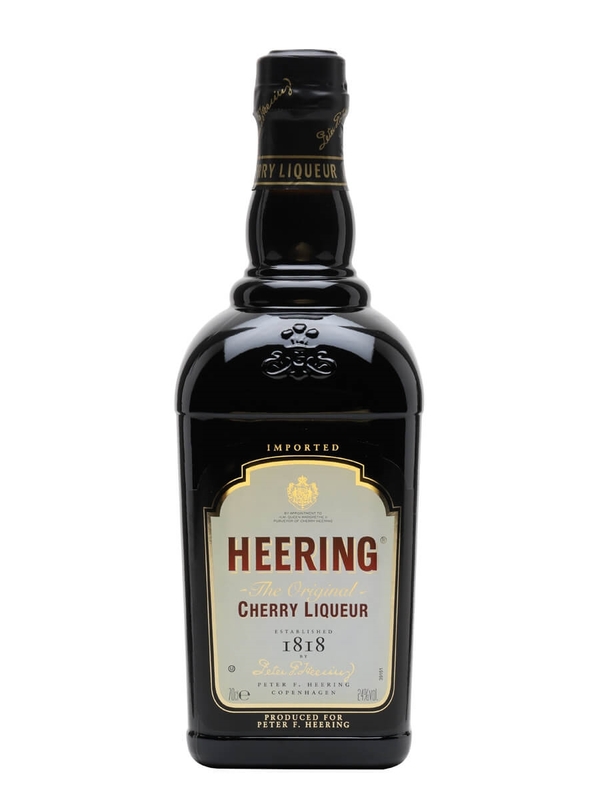 Officially called Heering Original Cherry Liqueur, it was created in 1818 in Copenhagen by Peter Heering. Made using juice from freshly pressed Danish cherries, which is combined with brandy and spices, it is aged in oak for a minimum of three years and kosher certified by the Orthodox Union. 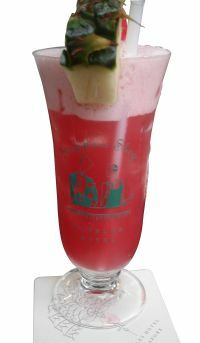 The liqueur’s popularity grew across the British Empire into the 20th century, culminating in the creation of the Singapore Sling by Chinese barman Ngiam Tong Boon in 1915 in the world-famous Long Bar at Singapore’s Raffles Hotel, a cocktail now served in any decent bar around the world. Shake all the ingredients with ice and pour into a sling glass. Garnish with a slice of fresh pineapple and a cocktail cherry. While the liqueur and the sling have become synonymous, there are other cocktails which call for Heering – the best known being the Blood and Sand (equal parts Cherry Heering, Scotch whisky, sweet vermouth and orange juice) and The Copenhagen (Cherry Heering, Bols Genever, lime juice, Monin Sugar Syrup and Angostura Orange Bitters). Nose: Intense, pungent aromas of sour cherries and coriander, with marzipan in the background. 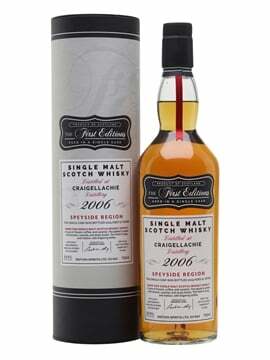 Palate: Syrupy texture, best described as liquid Cherry Bakewell. The spicy notes from the nose are noticeably absent initially. 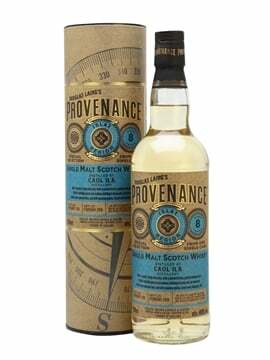 Finish: Intense cherry flavours slowly dissipate, leaving a subtly spicy finish, reminiscent of cloves. 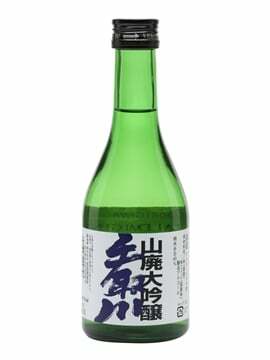 Comment: It’s too intense as a standalone drink, but I can see why this works in cocktails – the balance between sweetness and spiciness is superb, and the purity of the cherry flavour is unlike anything I’ve had before in a liqueur. In 2007, Coffee Heering (made with Caribbean rum, coffee and cacao beans), was introduced. 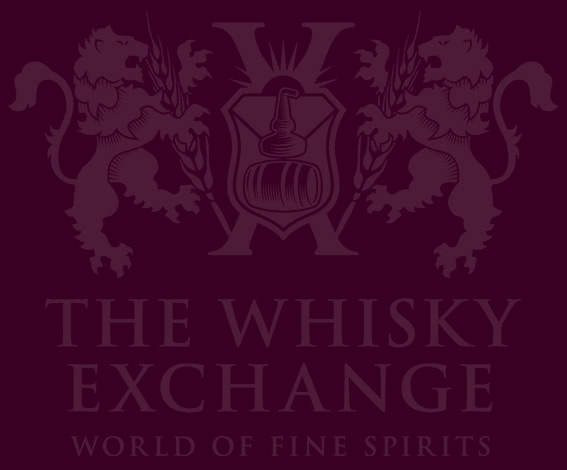 Nearly 200 years after it was first created, the original cherry brandy continues to be known and used worldwide. In the year the Singapore Sling celebrates its centenary, why not give one a try? The daddy of cherry brandies, made to a recipe dating from 1818 and matured for three years before bottling. One of the original ingredients in the first Singapore Sling created at the Raffles Hotel. 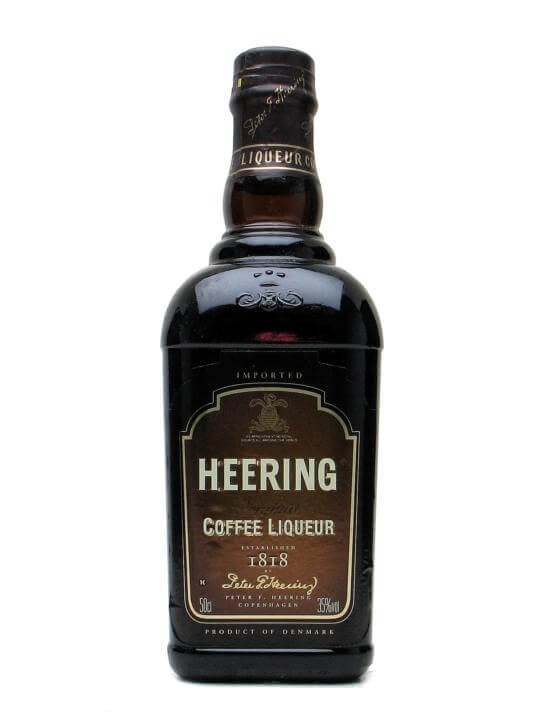 A coffee liqueur from Heering, a company more famous for their fabulous cherry brandy.